News - New Regi-Granite range - Reginox: the crown on your kitchen! The new Regi-Granite are available in two executions, the Amsterdam and the Harlem. The granite sinks are available in a variety of different sizes and variants. For example, the Amsterdam 72 has a width of 72 cm and the Amsterdam 10 has a single bowl with drainer. The Amsterdam 25 has a depth of no less than 220 mm and if you prefer a double sink, the Amsterdam 20 is the right model. In total, the granite range consists of ten different sinks, available in four colors: Black Silvery, Caffe Silvery, Grey Silvery and Pure White. In addition to the unique design of the sinks, the sinks are scratch and stain resistant, hygienic and easy to maintain. The sinks are easy to install, reversible and tap holes are already prepared. 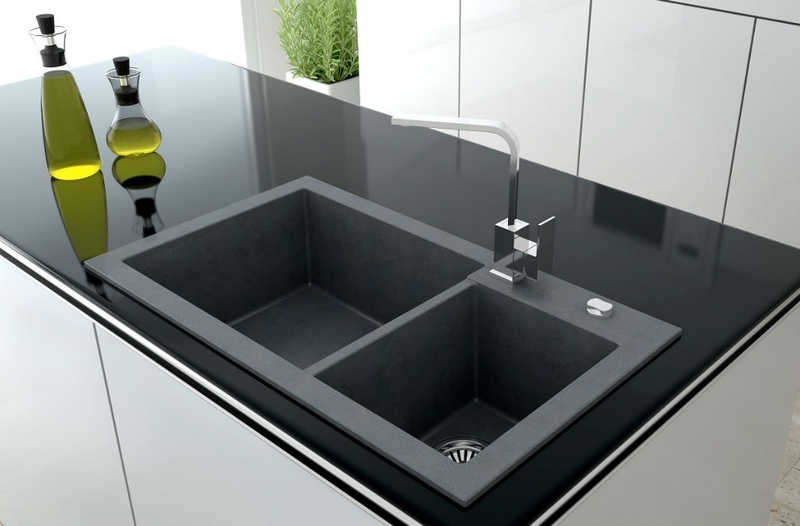 All granite sinks have an antibacterial surface. Click here for the Regi-Granite range, or ask your distributor for more information.